It’s sad, but true. Recent research has revealed what many of us have been observing in our own homes for years. The self-esteem of our daughters takes a nosedive before they even become teenagers. As preschoolers and during the early elementary school years, girls are often full of confidence and ready to take on the world. They show off their talents, share their successes, and brag about their many friends and accomplishments. But then something happens. During the tween and teen years, our daughters begin to question the very things they used to be confident about. Am I pretty? Do my friends like me? Are my clothes just right? Am I smart? Does my body look good? Am I talented? These questions (and more) begin to haunt them leading to a sudden decrease in their once positive and healthy self-esteem. Be a good role model. Much of what our children learn in the early years comes from us, their parents! If your daughter hears you saying “I can’t wear that, it makes me look fat” or “I can’t do that, I’ve never been good at math,” then she’s going to pick up on that and store it away in her memory bank. As she ages, she’ll likely begin to question her own image or worth in the same way. You can help prevent that by being a good model of healthy self-esteem. Even if you do question your outfit or math skills, be cautious about how you verbalize that in front of your daughter. Instead of “I can’t do that, I’ve never been good at math,” try “That’s a hard question. Let’s try to figure it out together, I bet we can!” Remember, she’s always watching and listening. Talk about your self-esteem when you were her age. One way to get your daughter to open up about how she’s feeling is to talk with her about your self-esteem growing up. Finding out that you felt heartbroken when you were left out by your friends as a teenager might help your daughter realize that she’s not the only one to have ever felt this way. Also, talking with her about how you handled your struggles will arm her with ideas on how to respond when she’s faced with similar situations. Discuss the influence of media. Watch television with your child, listen to music together, and read some of her favorite magazines. When you see or hear something that is unsettling, talk with her about it. Many ads are designed to take advantage of this time of insecurity and self-doubt, encouraging young girls to purchase the latest and greatest outfits, technology, and beauty products just to fit in. You can help combat that by engaging your daughter in discussions about the influence of the media on her self-image. Reach out. If your daughter is really struggling with her self-esteem, speak to her school counselor or pediatrician about your concerns or call a child psychologist in your area for specific advice on how to best help your child. For more activities and conversation starters to enhance your daughter’s self-esteem, visit The Dove Movement for Self-Esteem. 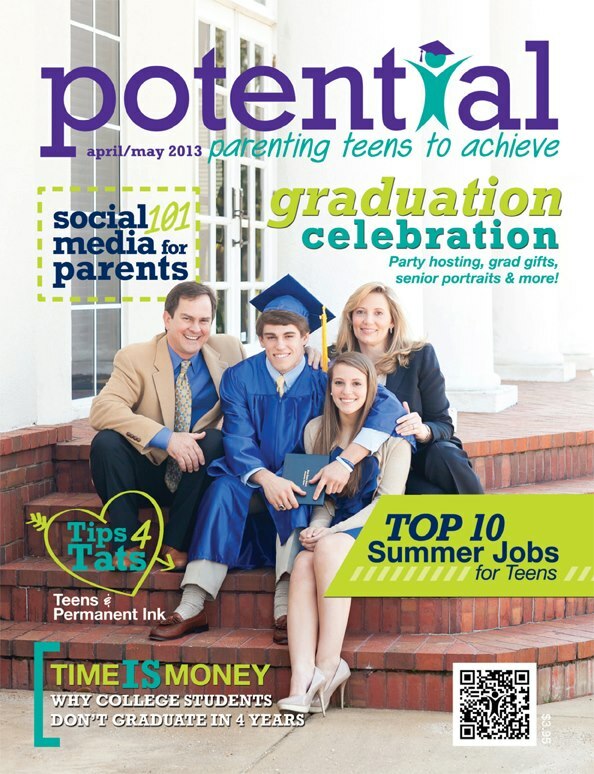 This article is featured in the July issue of the Auburn-Opelika Parents magazine.